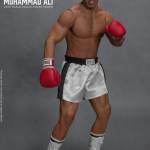 Muhammad Ali was not only a monumental athlete, a revolutionary fighter, but also a humanitarian and the people’s champ – the legend of Muhammad Ali goes far beyond the boxing ring. 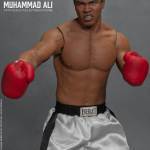 He inspires millions. 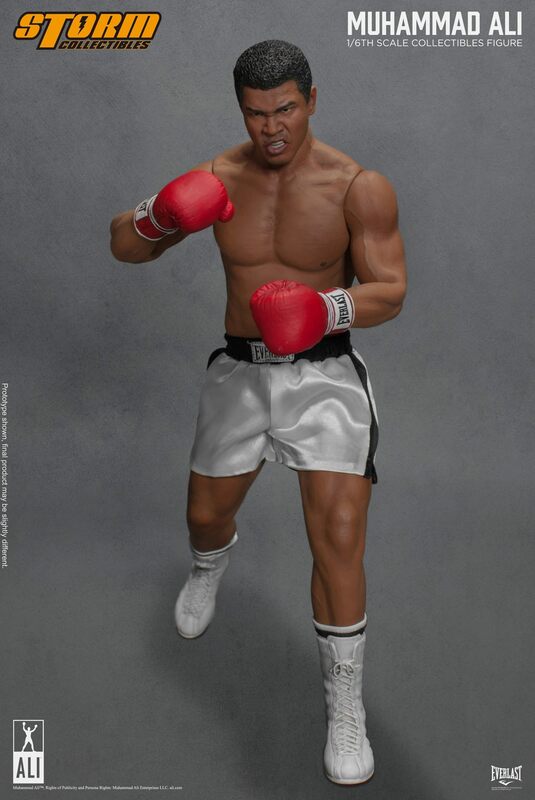 He gives people courage. 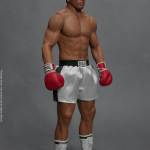 He makes fighters of us all. 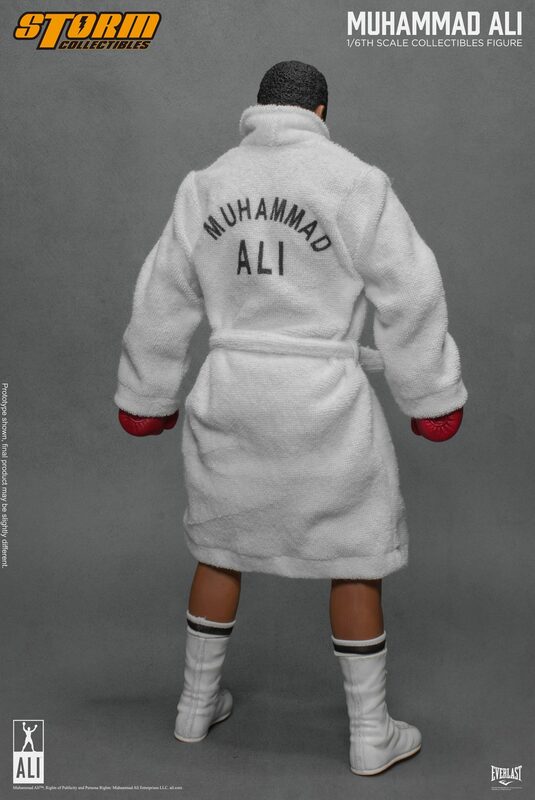 This is Ali, the legend, the goal, the greatest of all time and there will never be another. 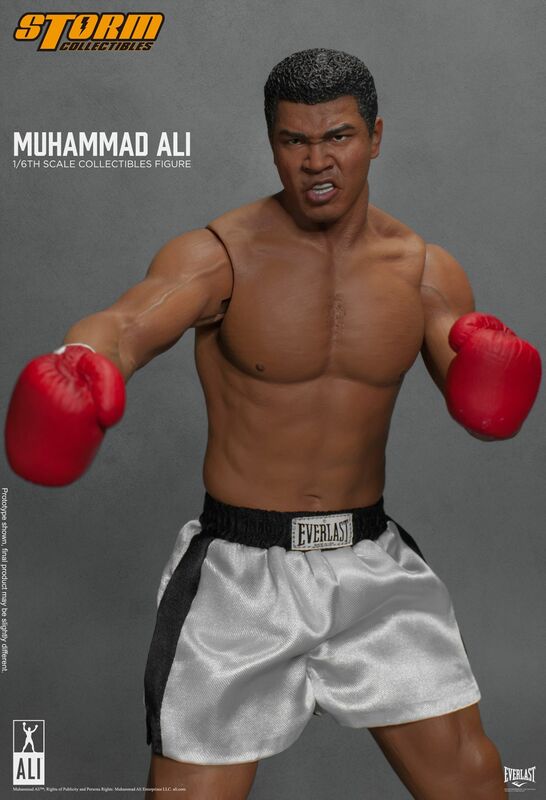 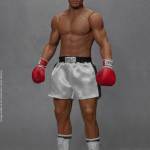 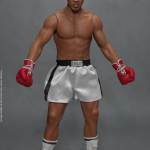 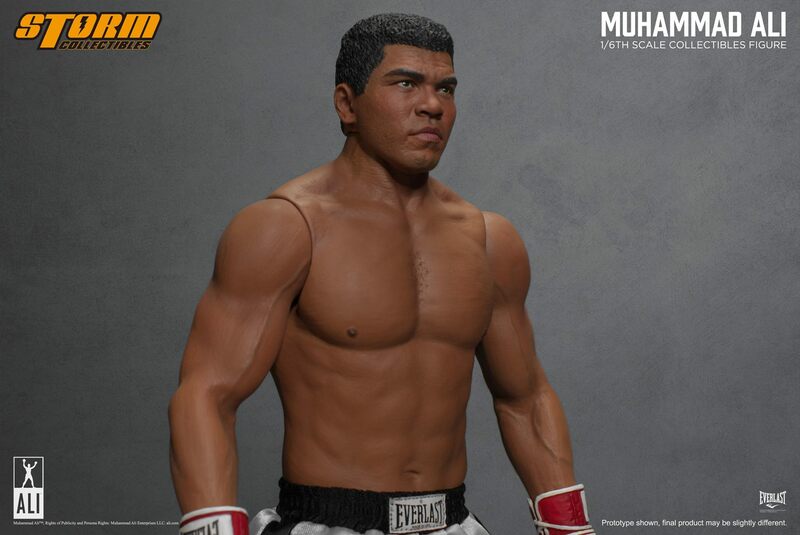 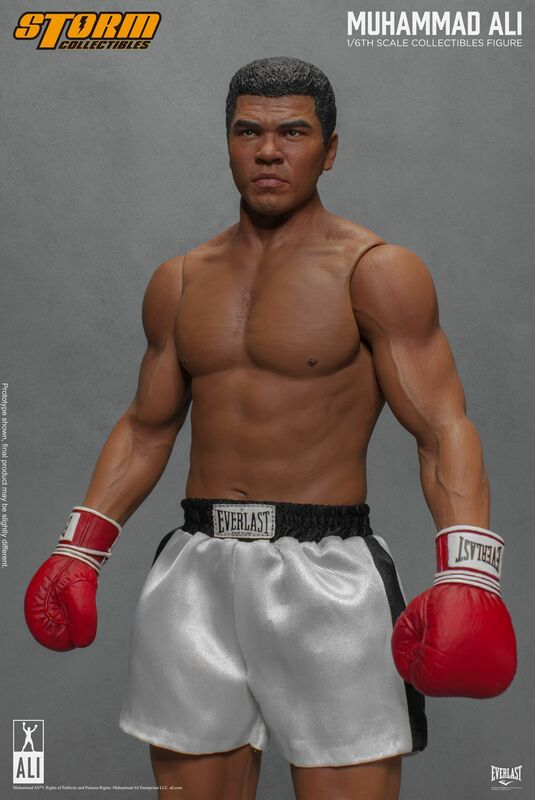 Storm Collectibles is honoured to present the first official 1:6th scale Muhammad Ali™ collectible figure with the full likeness of Ali, an exclusive Ali’s body-figure design, fully articulated, and our collaboration with Everlast on the boxing gear. 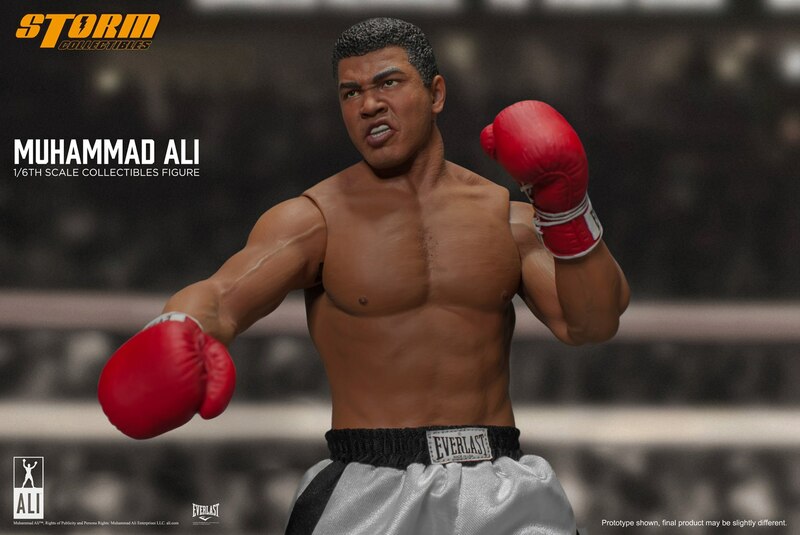 Preorder starts now and the product release in Q3 2017. 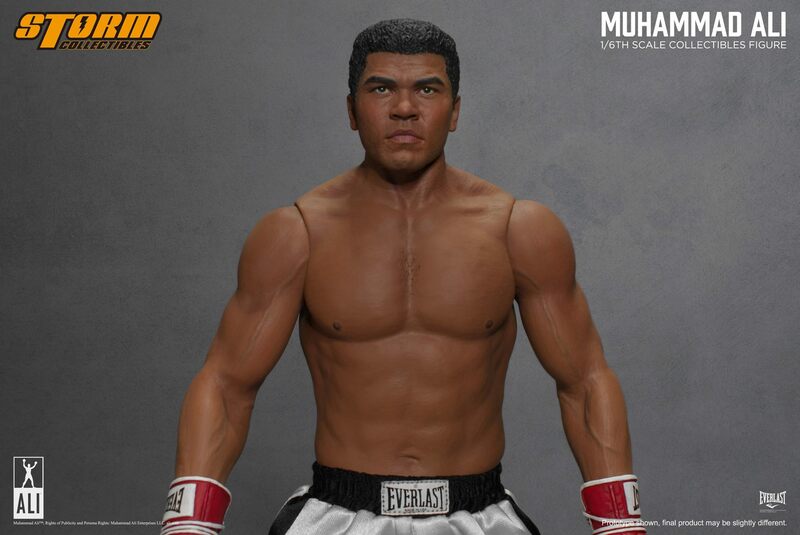 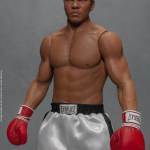 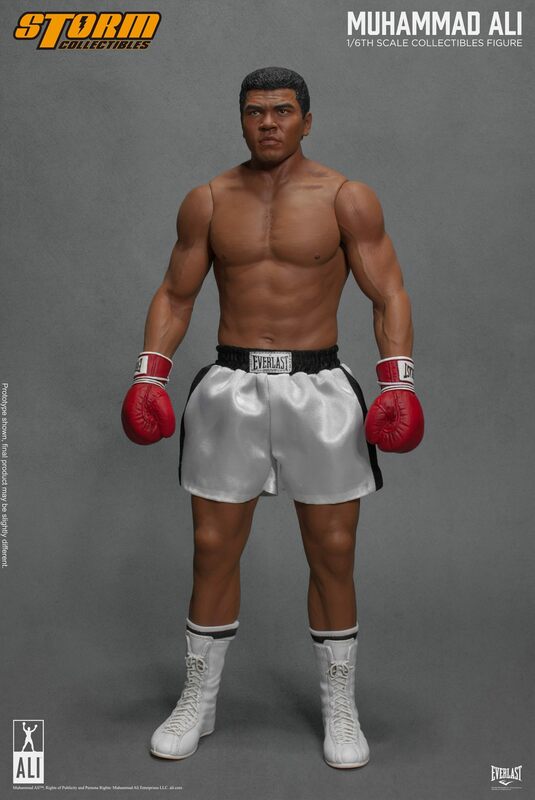 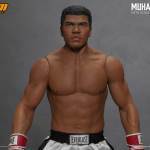 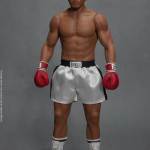 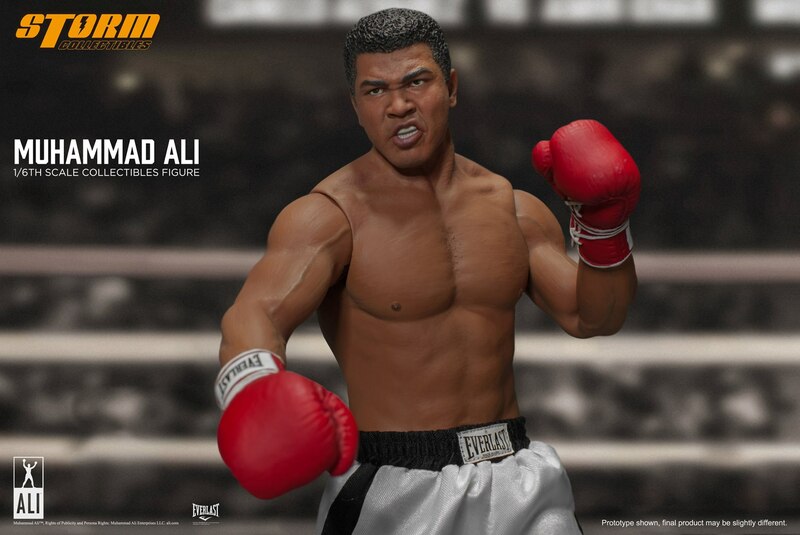 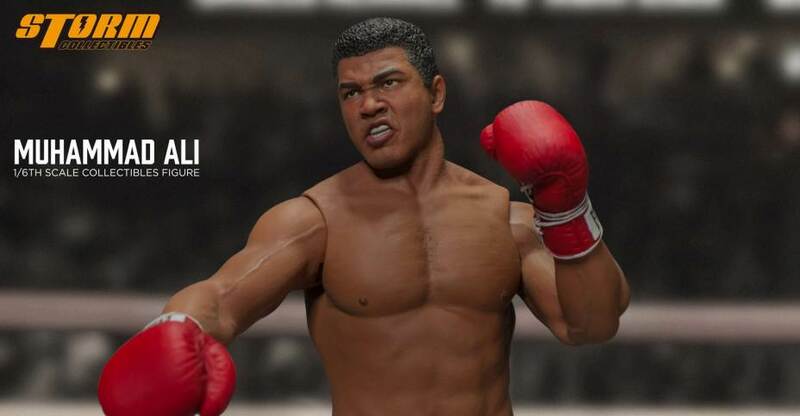 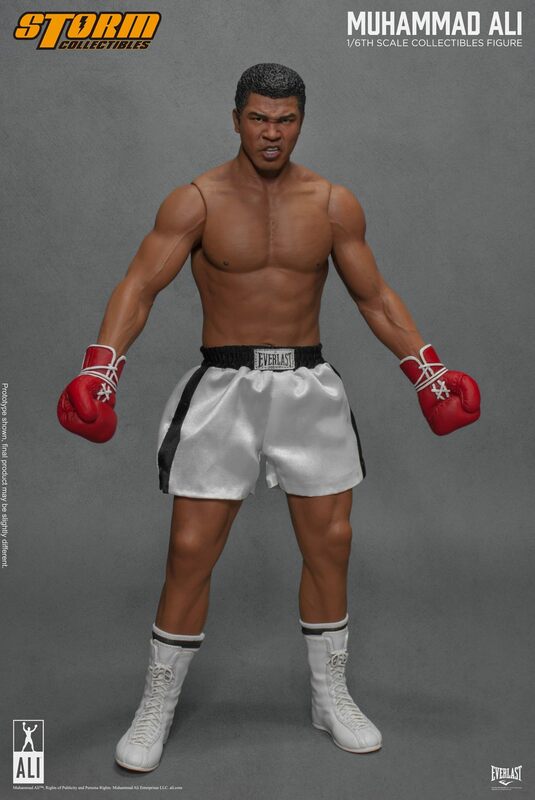 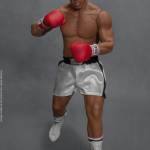 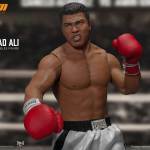 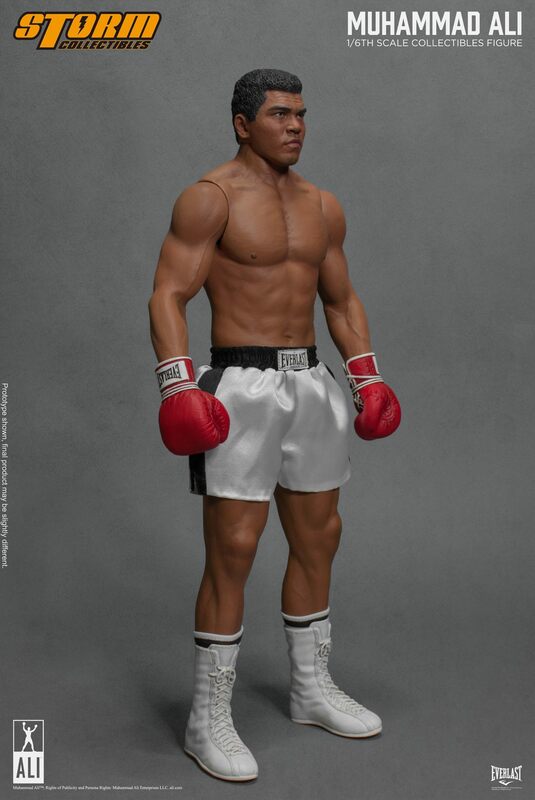 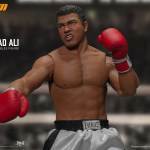 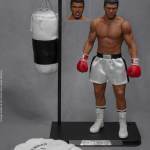 The Muhammad Ali Figure is scheduled for release in the third quarter of the year. 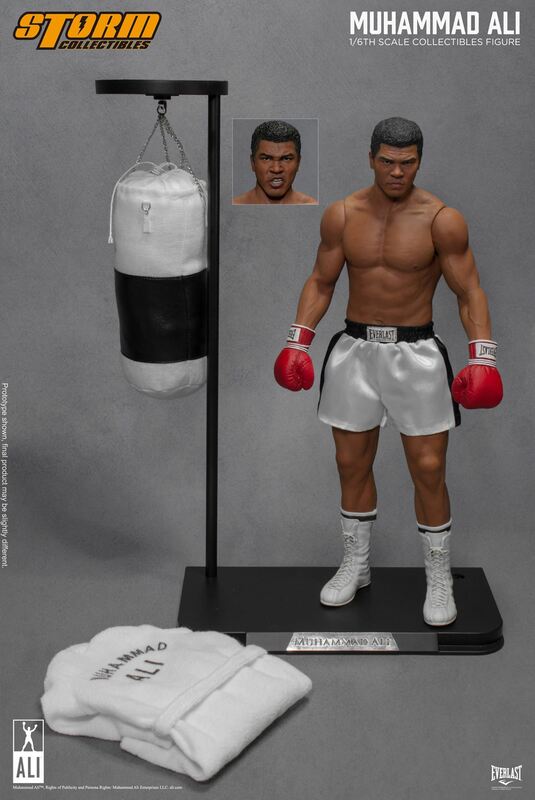 It will be priced at $230 USD. 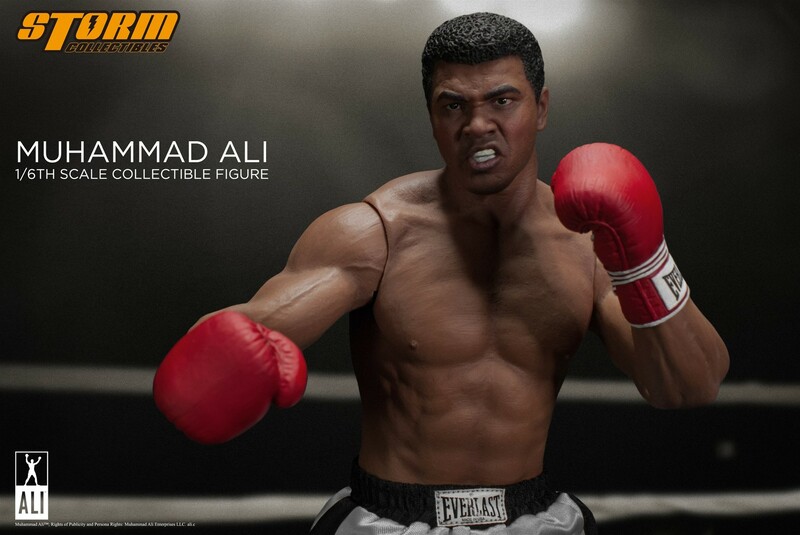 Read on to check out the new photos. 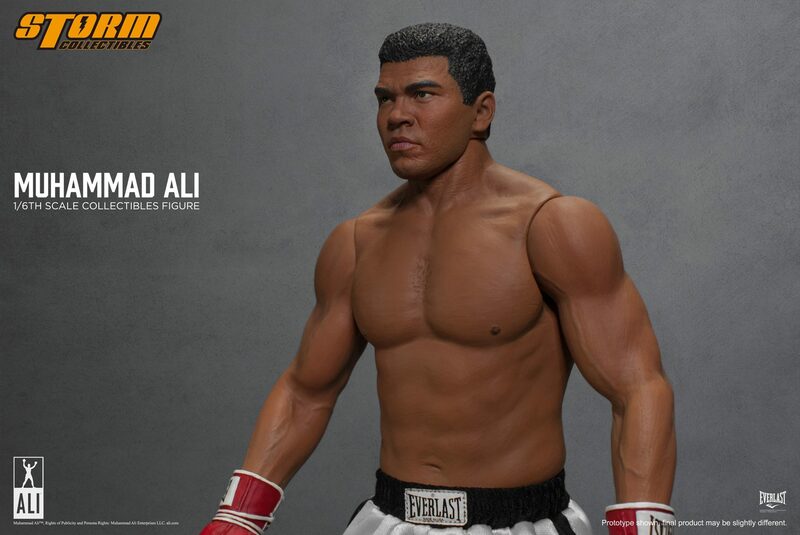 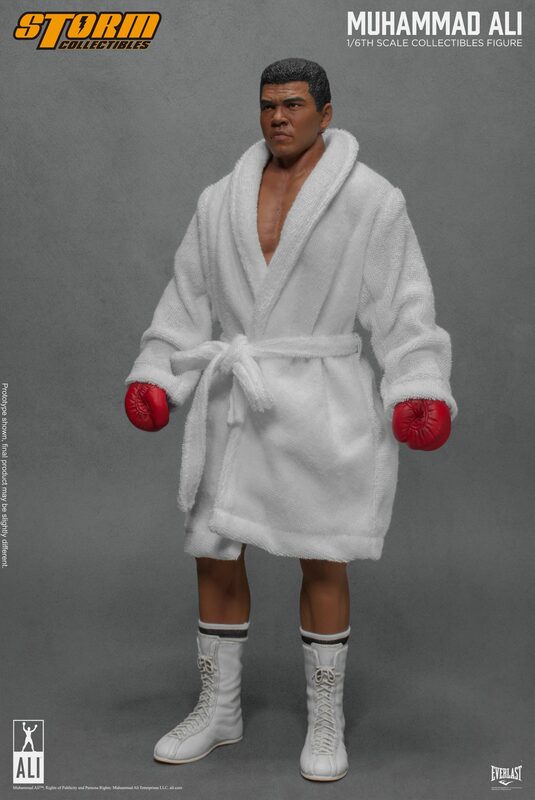 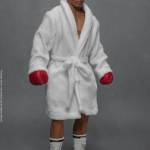 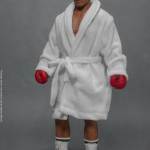 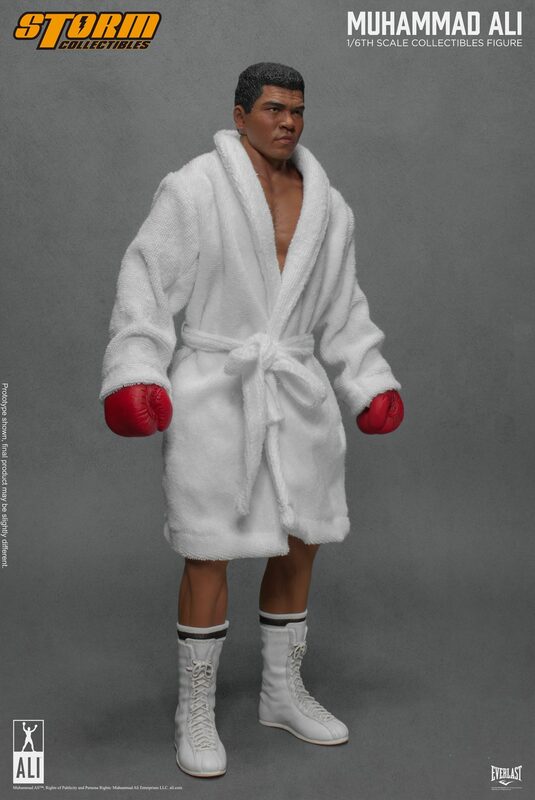 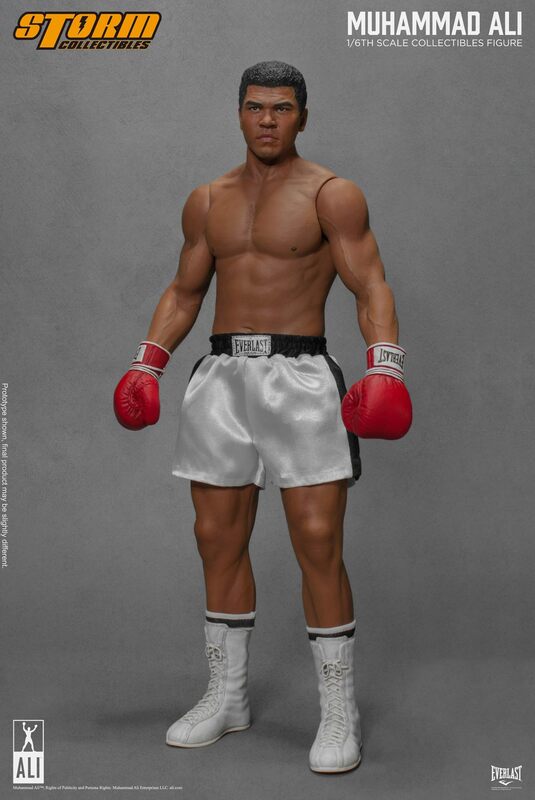 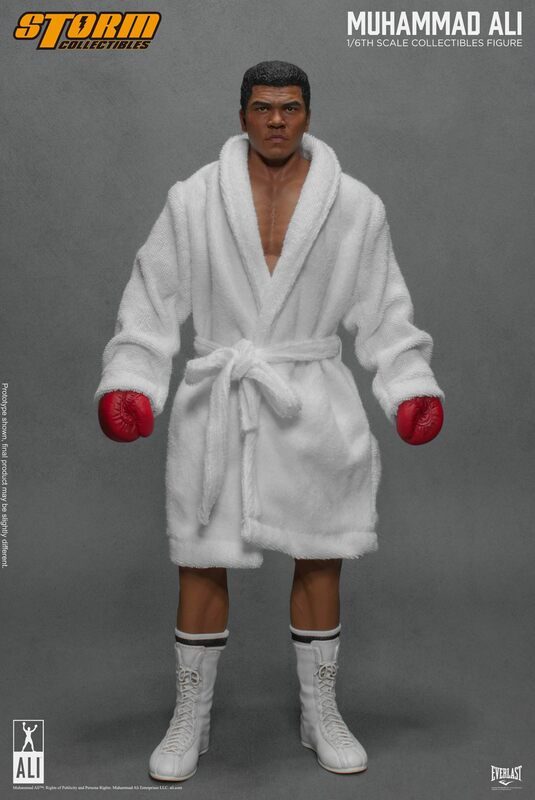 Didn't NECA make a 1/6 scale Ali some years back? 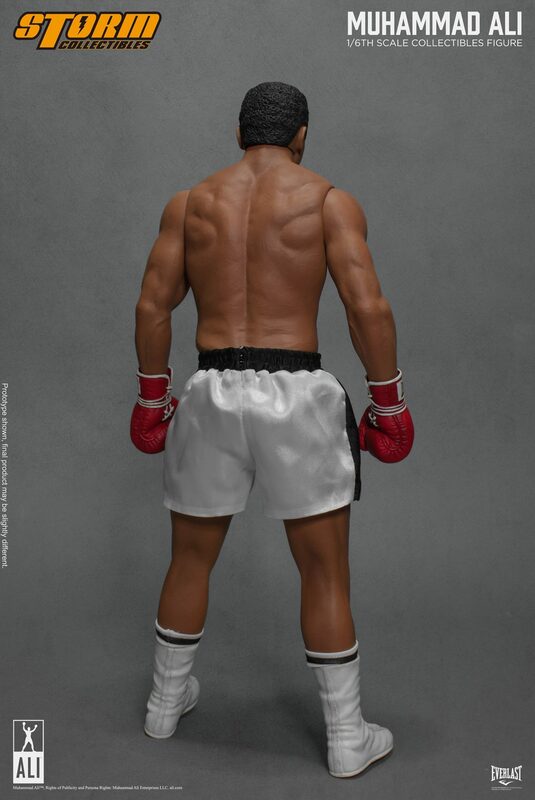 Either way, this looks great. 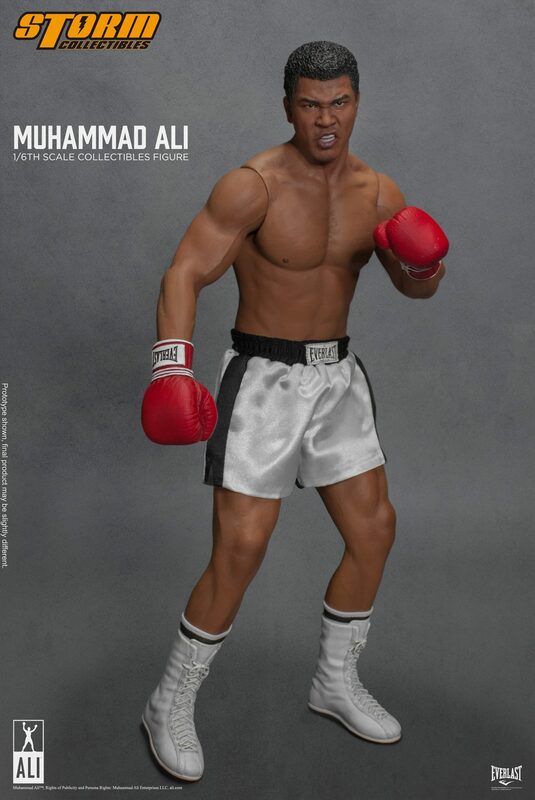 this is a must have for me..
*EDIT...ohhhh..he did go up on their site...just not on BBTS yet..
Bluefin is going to be distributing this in North America. 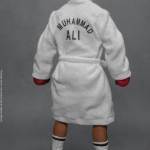 So you'll be able to order it domestically soon.